TINNED cables for Marine/Outdoor applications. Two cables bonded together "Ideal for jump leads"
Two cables bonded together in a "figure 8" configuration > "OO"
Highly flexible double insulated two x 4.00mm2 core cable. This Twinflex cable is much neater and easier than taping or cable tying two single cables together. 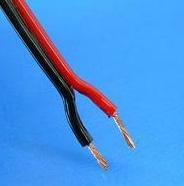 Highly flexible double insulated two x mm2 / #1AWG core cables. TIP! If for example you require 3 metres, just order quantity 3, we will supply one continuous length of 3mtrs. Highly flexible double insulated two x 6.00mm2 core cable. Highly flexible double insulated two x 10.00mm2 / #8AWG core cables. 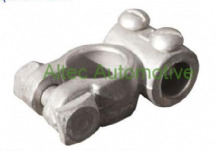 Range of top quality battery / starter ring /eyelet terminals. 6mm2 (#10 AWG) - 50mm2 (#1 AWG). Highly flexible double insulated two x 16mm2 core cable. 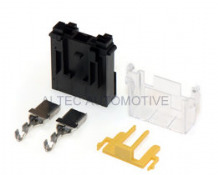 Professional quality automotive MEGA fuse holder. 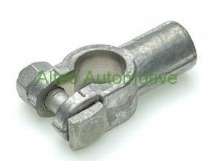 POSITIVE battery terminal, fitted with an M8 stud and nut to accept eyelet terminals. Highly flexible double insulated two x 25mm2 core cable. 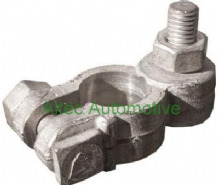 NEGATIVE battery terminal, fitted with an M8 stud and nut to accept eyelet terminals. Highly flexible double insulated two x 35mm2 core cable. Highly flexible double insulated two x 50mm2 core cable. 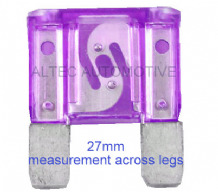 Professional quality automotive 40mm MIDI fuses. POSITIVE battery terminal, fitted with two cable clamp screws. 40mm2 , 60mm2 & 95mm2 cable sizes. 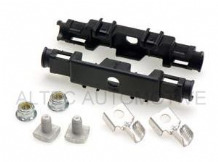 Negative battery terminal, fitted with two cable clamp screws. 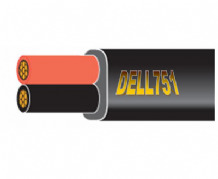 40mm2 , 60mm2 cable & 95mm2 sizes. Positive battery terminal, fitted with an M10 stud and nut to accept eyelet terminals. Negative battery terminal, fitted with an M10 (10mm) stud and nut to accept eyelet terminals. 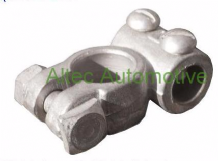 PAIR of QUICK RELEASE positive and negative battery terminals suitable for caravans, trailer tents, motor homes, boats, etc etc. Simply lift up the insulating colour coded cap and pull the terminal off. 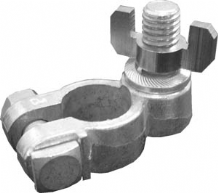 Positive & Negative battery terminals, suitable for crimping or attaching the cable via an eyelet type fastener. Clearly marked with coloured polarity inserts.